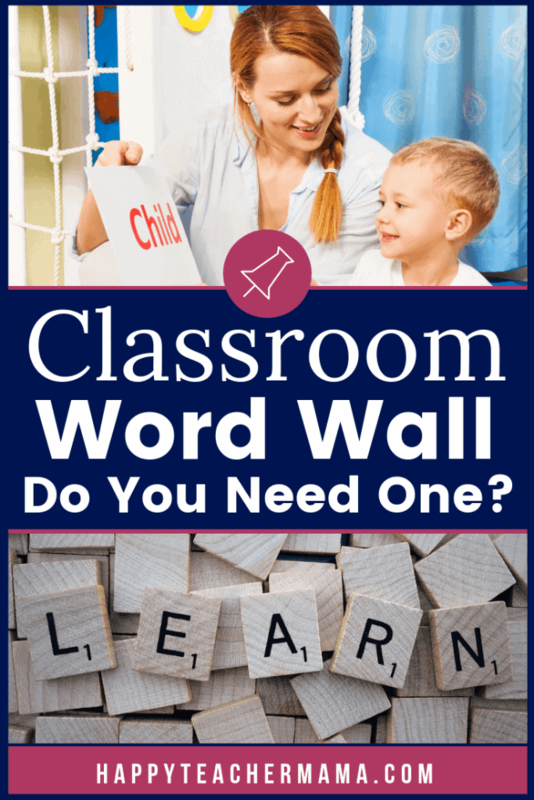 Classroom Word Wall: Do You Really Need One? A classroom word wall is a really simple concept that can become very confusing because it raises a lot of questions. What is a classroom word wall? Do I need one as a new teacher? Should I have one even if I have taught for 20 years? Isn’t a classroom word wall just for a school classroom? Would I want to include one in my homeschool? When I was teaching in the public school, we were REQUIRED to have a word wall that included the words our students should know in 3rd grade. They were alphabetized for easy reference, and I had mine posted on the cabinet doors at the back of my classroom. Since I didn’t want the words to be distracting to my students as I was trying to teach, I loved the fact that they were behind them. If my kids ever needed help spelling one of the words, they simply turned around in their seats to see the words. Word walls are simply groupings of words that kids should know at a specific grade level. These words are displayed on the wall which is why the name “word wall” has become so popular. Because word walls are specific to grade levels, they are not entirely progressive in nature. When I was teaching third grade, if I had posted EVERY word a child should know by that age on my word wall, I would have had words plastered across every square inch of my classroom. You see, as children consistently revisit words, these become imprinted on their brains in long-term memory. Then when newer words are introduced, these words sit in short-term memory for a while until they have had enough time to become part of that child’s long-term memory. So, in third grade, they have a third grade word wall with the newer words only. In fourth grade, a new set of words appears on the walls in the classroom. And so on, and so forth. That’s why word walls are so important! Having access to these newer words, allows students to see them, read them, and reread them multiple times in an effort to solidify those words in their brains…long-term memory style. 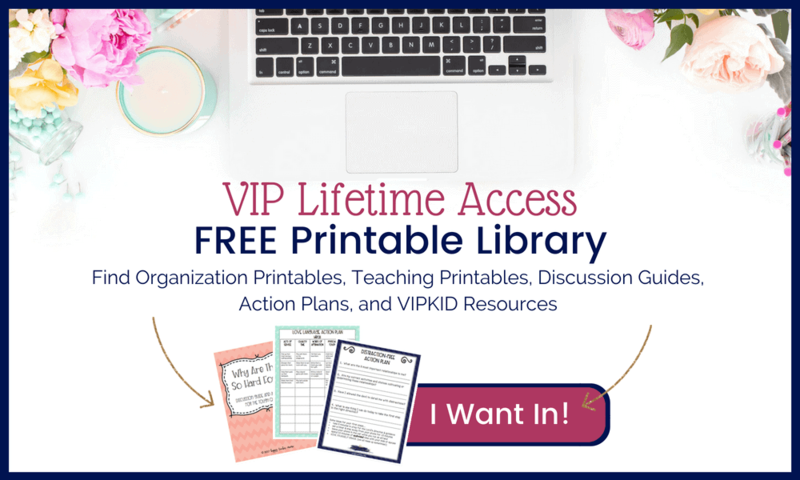 As a homeschool mom, you can create a word wall in your homeschool classroom or you can personal word walls for your kids. Giving them personal word walls will allow them to have access to portable options while still having the newer words close at hand. While word walls in a classroom need to be centrally located for easy visibility, as a homeschool mom, you decide how the homeschool word wall words are displayed and where they are located. Generally speaking, if you decided to search for words that your kids should know by a certain grade, you’d find list upon list of words touting the phrase “NEED TO KNOW!” This can be extremely overwhelming to new teachers, homeschooling mamas, and experienced teachers alike. To make this daunting task a bit less frustrating, I want to unpack and explain the three most common lists of words to give you a better understanding of which word wall words you need to use. As the name implies, these are words that are frequently found in the things we read. In fact, studies have shown that ONLY 13 words comprise 25% of the words we read! Even more interesting, is the fact that only 100 words make up 50% of the text we read! These high frequency words need to be memorized because they tend to be phonetically irregular or abstract by definition. While many words can be related to a picture or image, these words do not. And, although they are relatively insignificant independently, these words carry a lot of weight when it comes to understanding the meaning of sentences. So, memorizing these words will help our kids read more quickly and fluently, thus aiding in reading comprehension. The list of Dolch words were developed by Dr. Edward Dolch in the 1930s-1940s. He created this list based on the words that occurred most frequently in the children’s books of that era. The words found on this list are typically divided into grade levels, ranging from pre-kindergarten to third grade, with a total of 315 Dolch sight words. If a child knows all of the words on the Dolch list, he/she would know 80% of the words found in a typical children’s book and 50% of those found in adult texts. Fry words were developed by Dr. Edward Fry in the 1950s and then updated in the 1980s. This is a more modern list than the Dolch word list and was expanded to include the 1,000 most common words found in reading materials used in grades 3-9. These words are in combined into groups of 100. The first 100 words, or List 1, contain the 100 words most frequently occurring in the English language. They are commonly written as #1-100. List 2 includes words #101-200, and these are the next most frequent words found in the English language. The lists go on until you get to List 10, which includes words #901-1000. By learning all 1,000 on this list, a child would be able to read approximately 90% of the words in a typical book, newspaper, or website. What Grade Levels Need a Classroom Word Wall? In my opinion, every grade level from preschool to twelfth grade should have a classroom word wall. The word lists I mentioned previously are the three most common lists you’ll find related to reading. However, you and I both know that these lists are just the beginning. These word lists are merely a starting point for reading and understanding the words found in text. Our kids need to be exposed to a variety of words daily, and that is why I’m such a huge proponent of having a classroom word wall. Personally, I would try introducing some of the most basic words as early as preschool. You don’t have to do tons of “drill and practice” activities. Simply post the words on your word wall and reference them. This will give your kids a head start on what they will be exposed to in kindergarten. If you teach middle school or high school, consider adding words that are relevant to the subject you teach. This will help your learners master the content they need to know. Regardless of the grade level or subject you teach, you need to have letter headers above your classroom word wall words. In other words, you need to have the “A” column, “B’ column, etc. So, I have created two different sets of word wall printables that match everything in the farmhouse classroom collections. The Rustic Wood Set and the Rustic Coastal Set each contains three different styles to suit the needs of your learners. While a classroom word wall may not be required in your school or homeschool, consider adding one. They can be put anywhere, and the only stipulation is that they’re accessible to your learners. Having the words up at all times throughout the year will help your kids burn a mental image of the words in their minds. This visual memory technique will serve them well through testing and life.